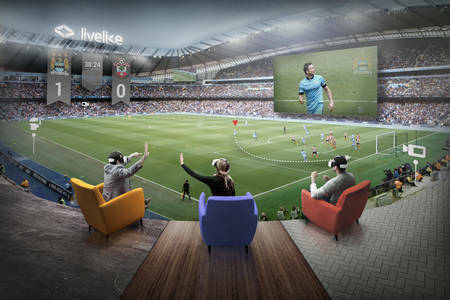 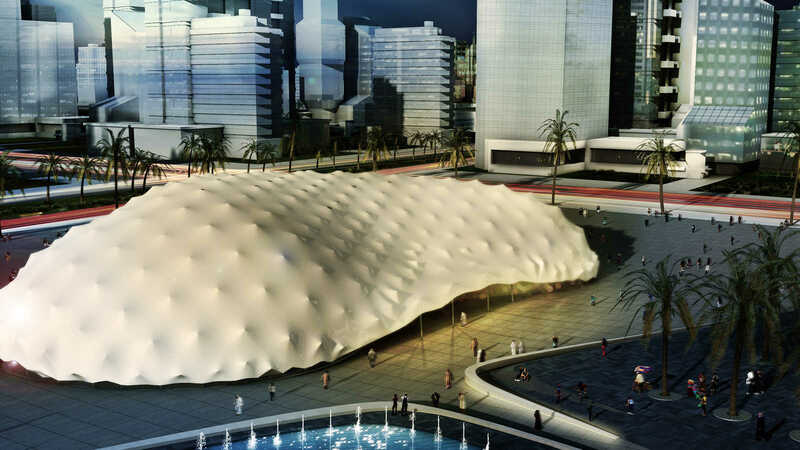 A smart, cool & adaptable facility for travelling venues. 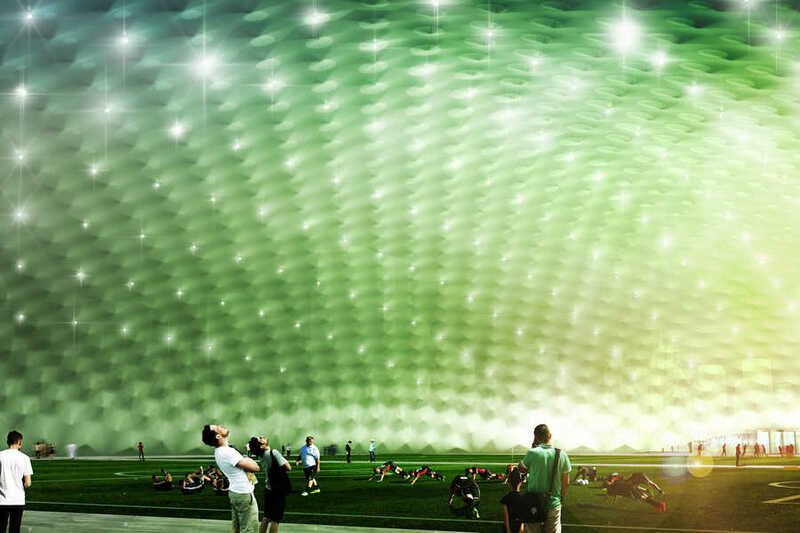 After 3 years of detailed research and development, The Shaded Dome, an innovative concept designed by Royal HaskoningDHV, ZJA Zwarts & Jansma Architects and Poly-Ned, has been granted a European patent. 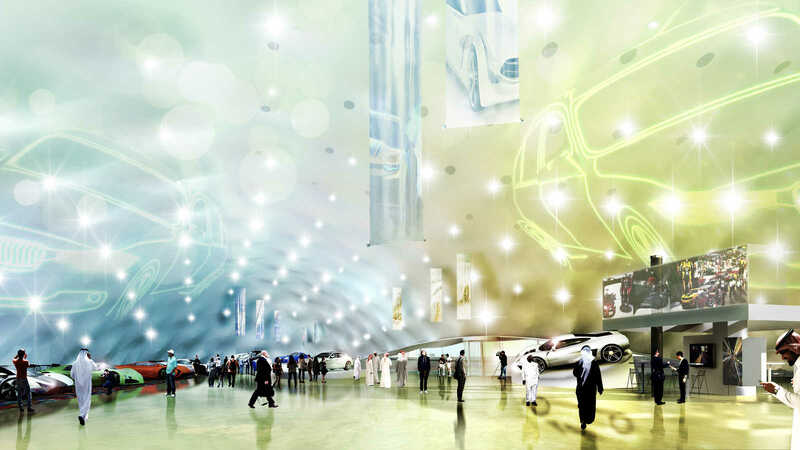 This milestone enables the official launch of the concept. 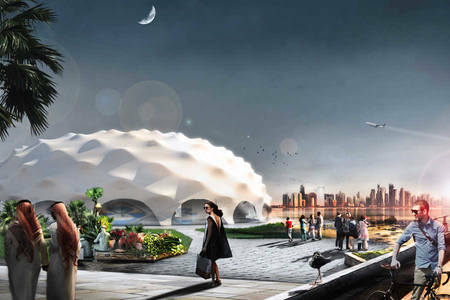 The Shaded Dome is a semi-permanent facility, comprised of an air-supported, environmentally controlled dome in which a pleasant microclimate is created. 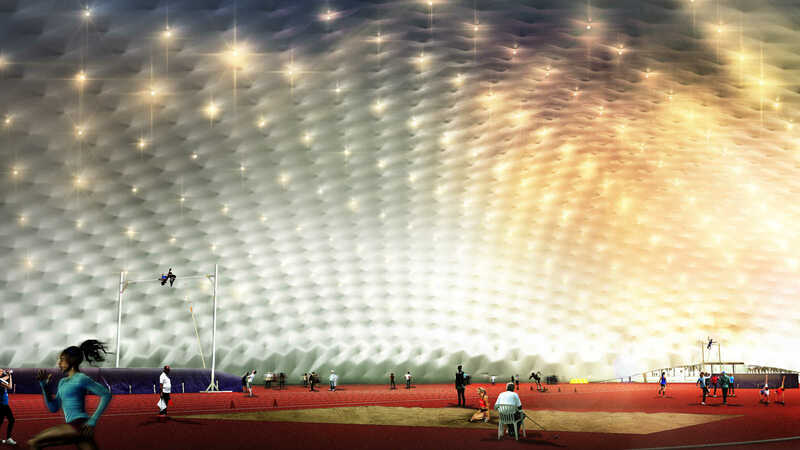 The dome is positioned under a tent layer (the Shade), supported by a steel cable structure. 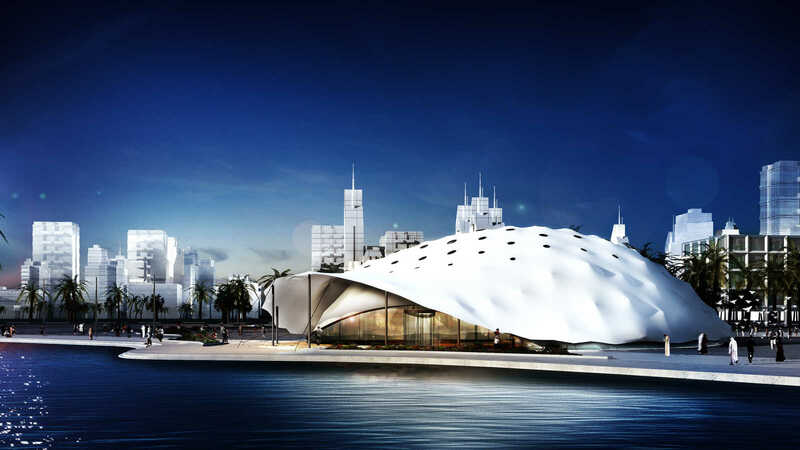 This passive design element provides the dome with protection from often demanding climatological conditions like for example solar radiation, wind, high air temperature, humidity and precipitation. 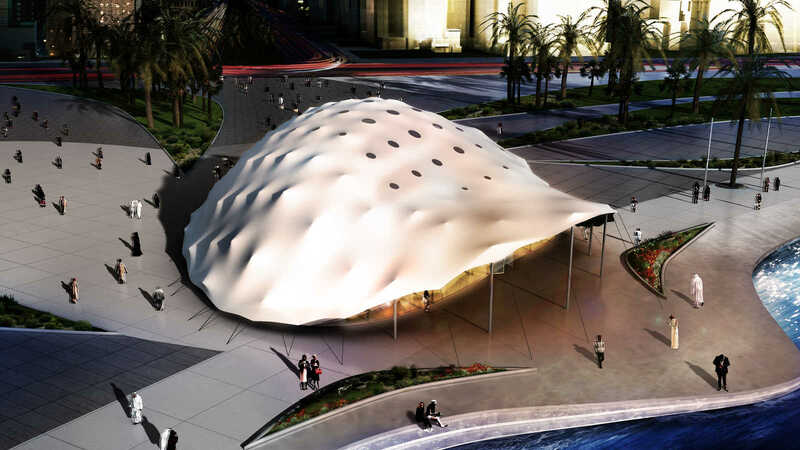 The microclimate is enabled by a constant airflow between the dome and the shade together with the use of a custom made combination of several membrane materials. 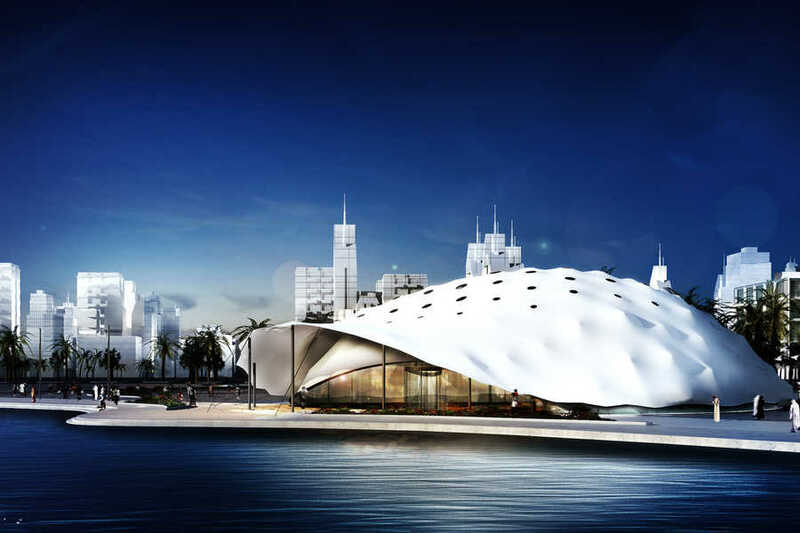 The Shaded Dome’s integration of passive design elements and microclimate creates a comfortable indoor environment for both venue and visitors and is efficient in material use, re-usable and self-supporting in energy needs. 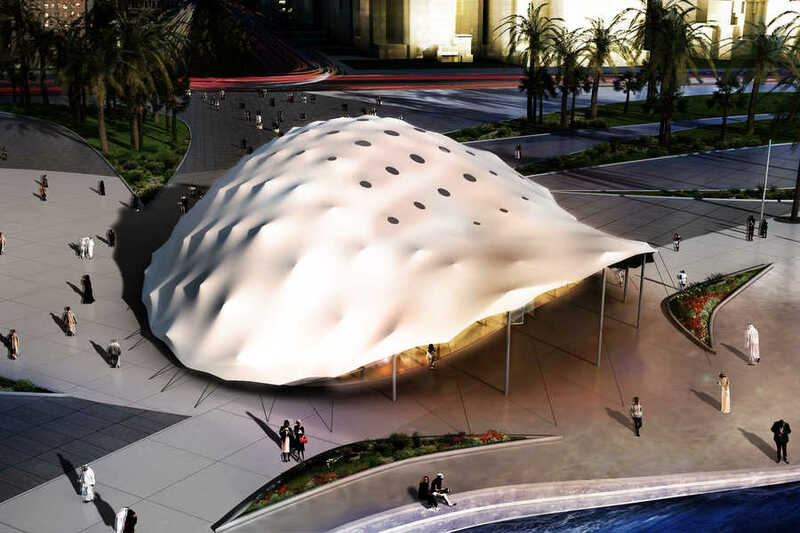 The Shaded Dome™ has an unprecedented flexibility in size and shape. 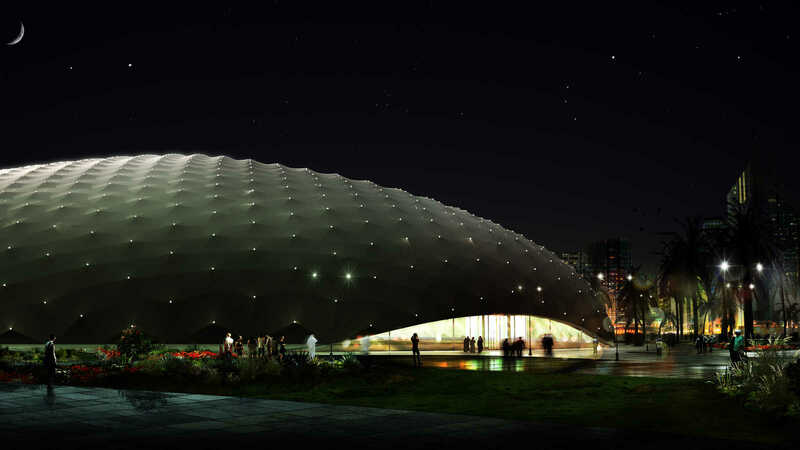 The floorplan and overall shape can be free-form and footprints can be extended up to 20.000 m2, the size of almost three football pitches. 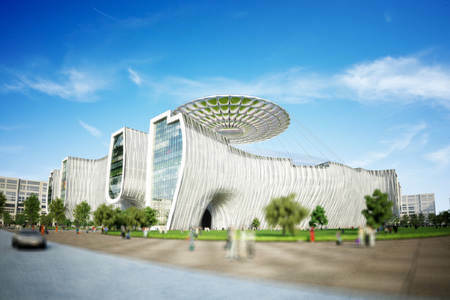 Furthermore, the lightweight construction encompasses climate related building physics, not inferior to constructions with high mass. 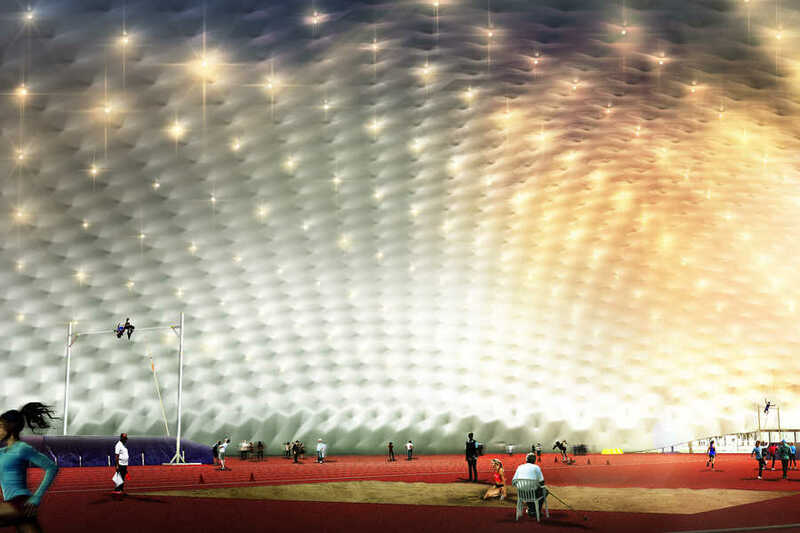 The Shaded Dome™ requires limited transport volume, and can be constructed and dismantled in a matter of days. 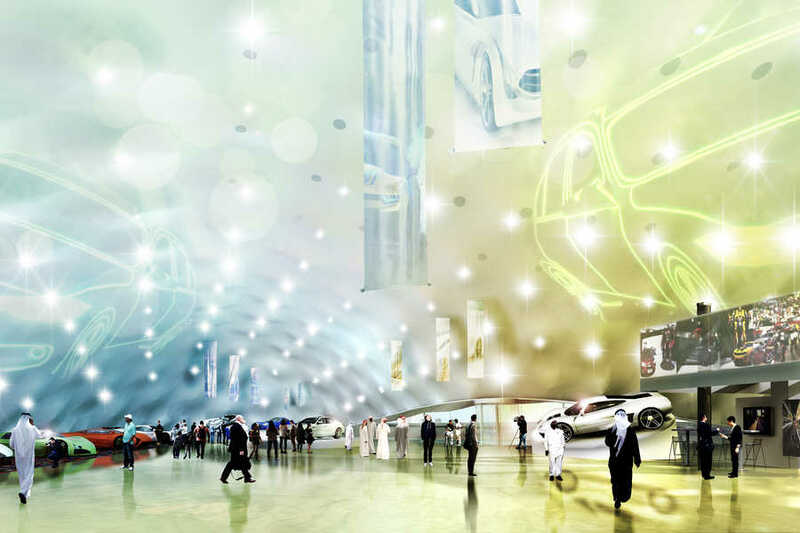 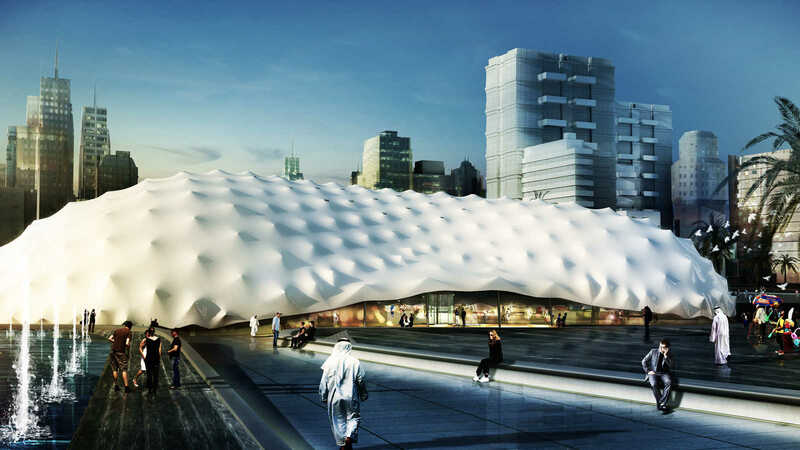 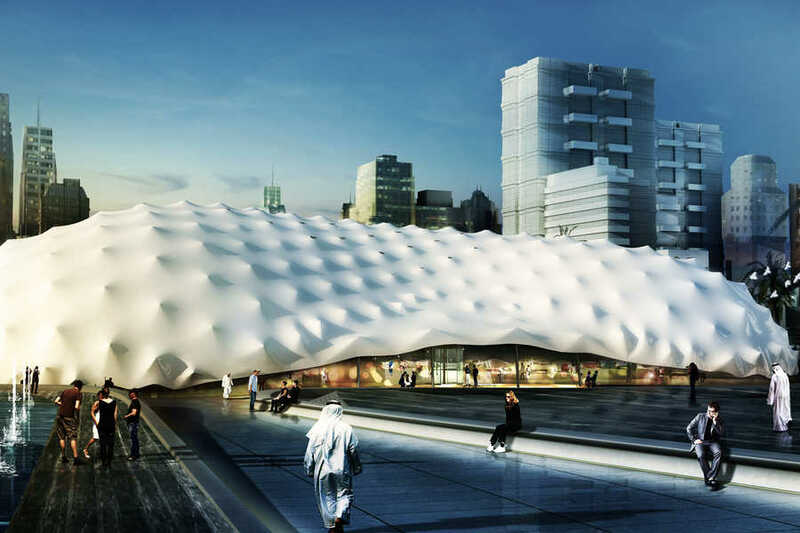 The Shaded Dome allows for a multitude of utilizations, such as travelling exhibitions, sports venues, museums and entertainment, which all can enjoy the benefits of the dome’s large free-span interior. 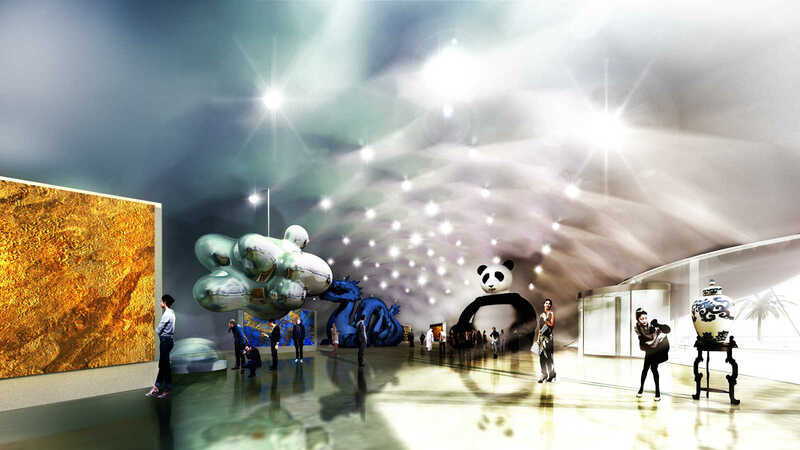 Travelling exhibitions, sports venues and theme parks are upcoming and highly popular activities. 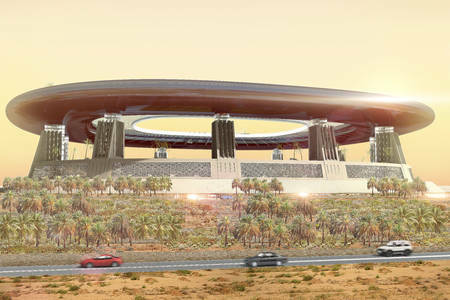 Various organizations are keen to bring arts and sciences, sports and entertainment to both a country’s great centers, as well as the more remote regions. 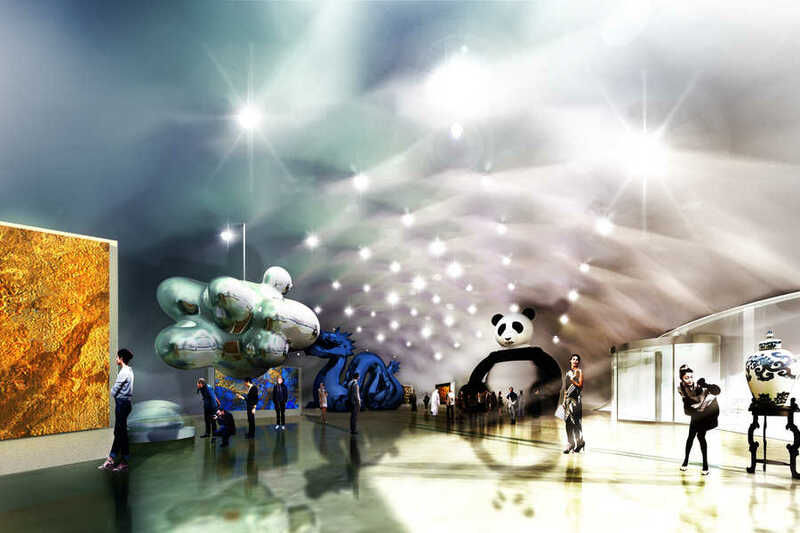 However, finding the right accommodation to host these activities has proven to be very challenging. 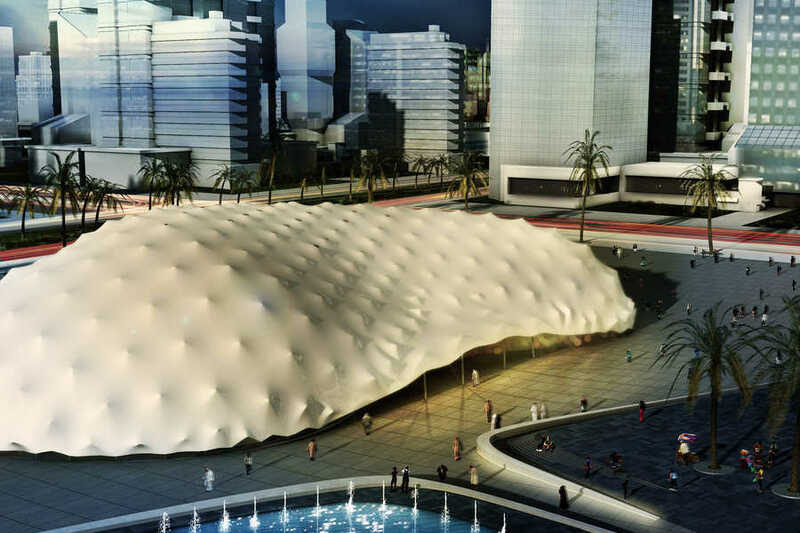 The Shaded Dome has been developed to meet this challenge: it provides a smart, cool and adaptable facility, which meets the highest standards in comfort, sustainability, flexibility, accessibility, safety and security for its visitors. 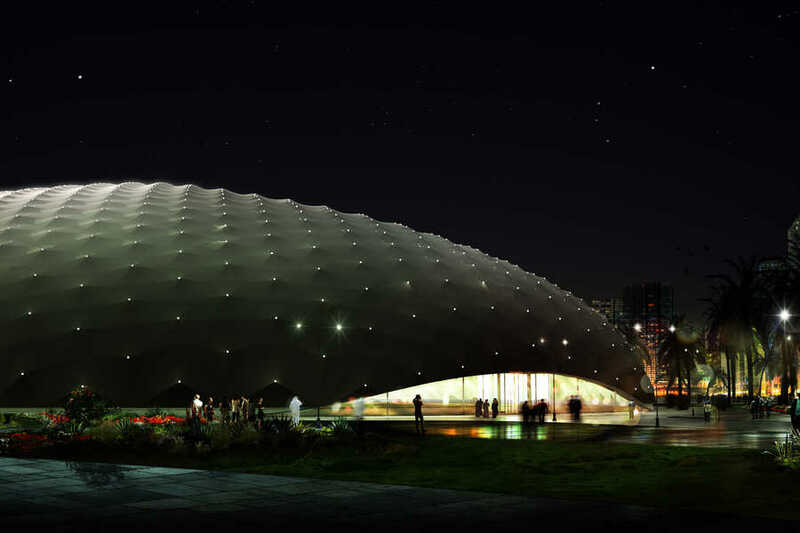 At the same time, The Shaded Dome protects the venue from often demanding climatological conditions and offers a low total cost of ownership. 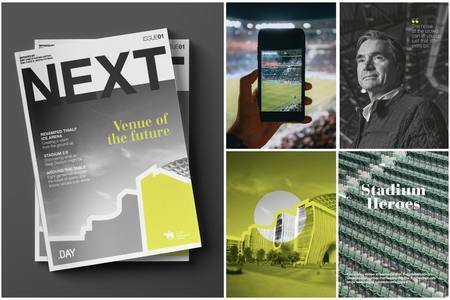 Winner people's choice award De Vernufteling 2016. 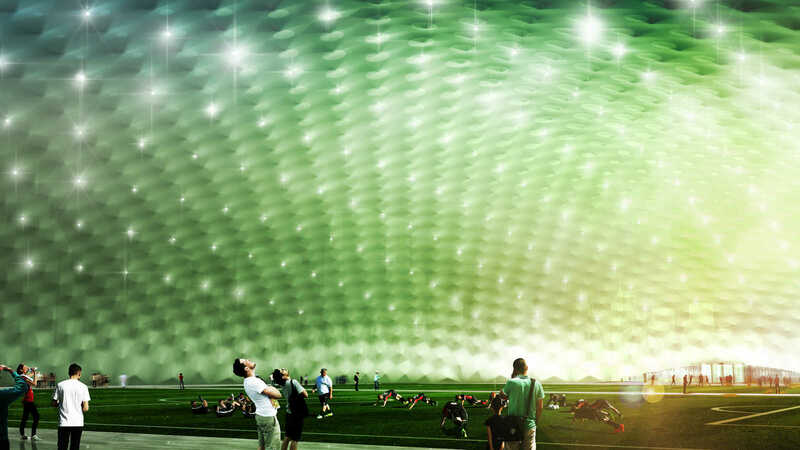 The Shaded Dome™: A smart, cool & adaptable facility for sport venues.